George Andre does a vertical snaproll in his Freebird 300. I've always liked this picture. The airplane exists only in parts now, George parted out the airplane when he sold it. 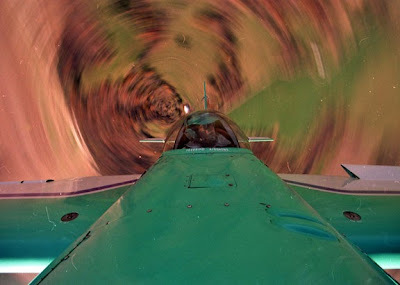 I had a mount for the camera that we put on the back of the cowling to take this. Close-up of a Clipwing Monocoupe. Scott Johansson preps the Waco to give a ride.